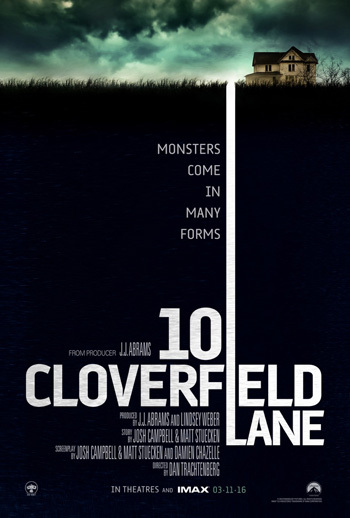 John Goodman, Mary Elizabeth Winstead and John Gallagher Jr. star in the sci-fi thriller 10 Cloverfield Lane, producer J.J. Abrams’ secret follow-up to Cloverfield (2008). MPAA Rating: PG-13 for thematic material including frightening sequences of threat with some violence, and brief language. Waking up from a car accident, a young woman (Mary Elizabeth Winstead) finds herself in the basement of a man (John Goodman) who says he’s saved her life from a nuclear attack that has left the outside uninhabitable.